A granite countertop fabricator has sold its home in RiNo to a developer, who plans to build 13 stories on the site. Denver-based Zocalo Community Development and Des Moines, Iowa-based equity partner Principal Real Estate Investors purchased 3433 and 3463 Walnut St. in Denver on Monday for $6.6 million, according to county records. The site is 0.72 acres, making the deal worth $211 a square foot. Joe Manzanares of The Devonshire Company represented the seller. John Lucero of Impax Realty represented the buyer. Fabricator Stone Crafters has been at the site since 2006 and operates out of three one-story buildings. Kiyomars Beazley, who owns the company and affiliate Granite Depot, purchased the two parcels in October 2006 and July 2007 for $544,697 and $580,000, respectively, according to records. 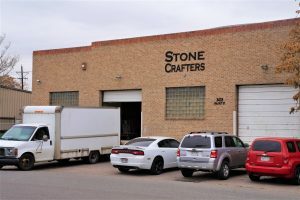 Stone Crafters is set to move its operations to Denver’s Sun Valley neighborhood. The base zoning of the site allows for construction of up to five stories. However, the property was included in an overlay district around the 38th and Blake commuter-rail station that the Denver City Council passed this year, which allows for additional height if certain conditions, largely related to income-restricted housing, are met. 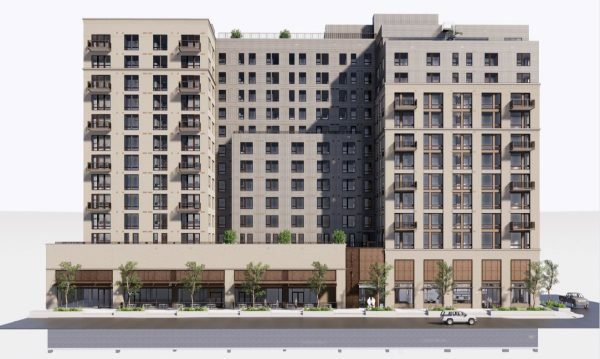 Zocalo developer Ted Featherstone said the firm can build 13 stories at the site in return for incorporating at least 18 units that are restricted to those making up to 80 percent of the area median income. The project is slated to have 381 apartments in total. 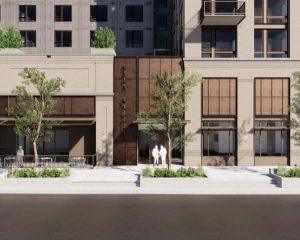 In addition to the income-restricted units, Zocalo CEO David Zucker said the firm also aims for what he dubbed “lower-case ‘A’ affordable” at the project. Zucker said rent increases in downtown and RiNo in recent years have been increasingly challenging for some residents in part because there aren’t many small units in the neighborhoods. Zucker said only about 15 percent of RiNo apartments are studios, and the gap in rent between one-bedrooms and studios has become increasingly narrow due to demand for the latter. The firm’s Walnut Street project will be 40 percent studios, some as small as 411 square feet. If the studios were delivered today, they would go for about $1,500 a month, Featherstone said. Zucker said “increasingly pillow density” is a key way to make projects viable given recent rises in construction costs. He said Zocalo also is saving by being its own general contractor on the project. The residential units will be on floors three through 13, and will feature one- and two-bedrooms in addition to the studios. There also will be about 10,000 square feet of commercial space on the first floor. Plans call for parking on two below-grade levels, as well as the second floor. Denver’s Craine Architecture designed the project. The project is the first in RiNo for Zocalo, whose past projects include Cadence at 1920 17th St. next to Union Station, and Coda at 100 Steele St. in Cherry Creek. Zocalo also has proposed a large mixed-use project near Sloan’s Lake. Featherstone said Zocalo has been looking at RiNo since he joined the company about two years ago and focused on the area around the commuter rail station. “We wanted to be on the east side of the tracks, not the Brighton Boulevard side,” Featherstone said, largely because of the differences in walkability. The firm went under contract for the site last fall, expecting that the overlay district would be approved. Zocalo expects to begin work at the site in February, and deliver it in early summer 2021. Beizaei, the owner of Stone Crafters, said Tuesday that the business will operate in RiNo through January, then move to Sun Valley. One other business set to leave RiNo is glass sink manufacturer Vitraform. Hines, which built Denver’s newest skyscraper, is set to purchase the business’ home at 3500 Blake St. for an office project. “The area is changing to be more civilized, in a way,” Beizaei said. Beizaei is set to close on the purchase of 2605-2625 W. 8th Ave. in Sun Valley for $2.4 million on Wednesday, according to industrial broker Russell Gruber. The one-story building on a 0.64-acre lot is 18,950 square feet, making the deal worth $127 a square foot. Gruber is representing seller Greenwood Enterprises LLC, which purchased the property in March 2005 for $1.05 million, according to records. Gruber left Newmark Knight Frank this year to rejoin Gruber Real Estate, the firm his father Jim founded in 2004. He said he always planned to return to the family business, and it offered higher earning potential. Jim Gruber represented the seller the last time the 8th Avenue building sold. Russell Gruber said it’s the second time he’s sold a building his father previously did, and the first time that both did it under the Gruber Real Estate moniker. “It’s cool to be able to say that,” he said. 1 Comment on "Developer spends $6.6M on RiNo site; 13 stories planned"